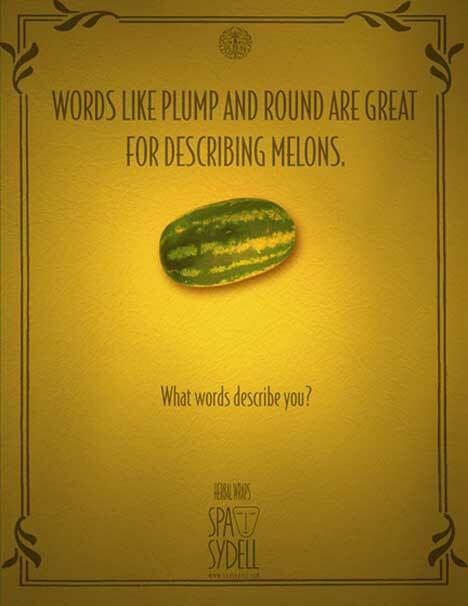 Spa Sydell, a skin care business based in Atlanta, Georgia, has promoted its services with a fruit-oriented series of posters. 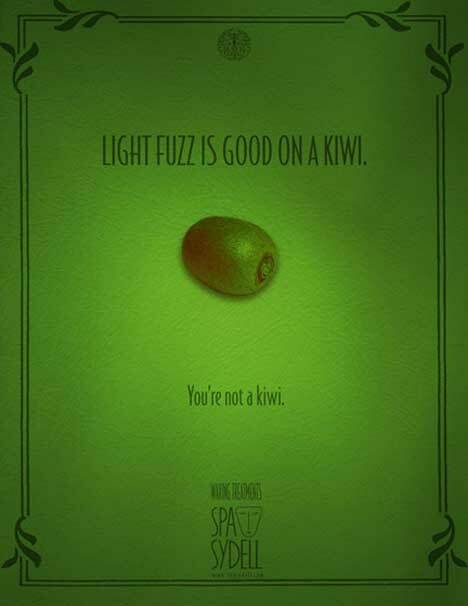 Obviously this one wouldn’t work in New Zealand! 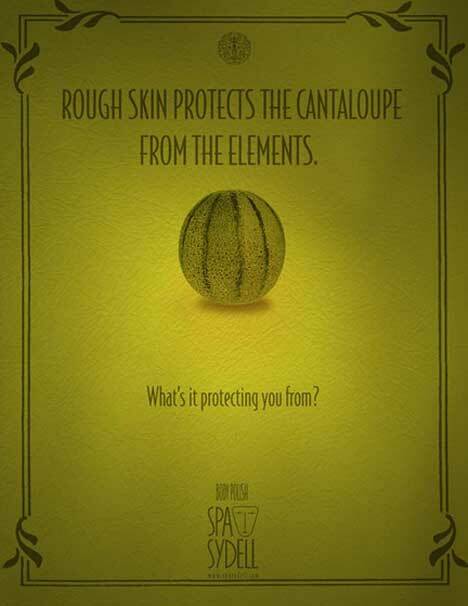 The Spa Sydell fruit campaign was developed by Intermarkets Jordan art director Amer Sheikh and copywriter Jonathan Osbourne.